DENVER, June 19, 2017 /PRNewswire/ -- Lifeline Vascular Access®, a subsidiary of DaVita Inc. (NYSE: DVA) and leading management company that serves providers of vascular care for patients with a variety of chronic conditions, announced the appointment of David L. Mahoney, MD, as its chief medical officer (CMO). As Lifeline's CMO, Dr. Mahoney will also serve as a member of the physician leadership team within the Office of the Chief Medical Officer at DaVita Kidney Care. 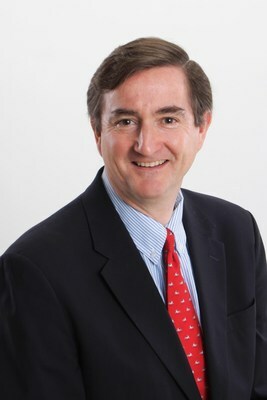 "I am honored to join Lifeline as its CMO," said Dr. Mahoney. "I look forward to drawing on my previous experience as both a practicing nephrologist and an interventionalist as I assume this role in helping our physicians care for some of our country's most vulnerable patients." Dr. Mahoney has been practicing nephrology for 24 years, and, until recently, was a group medical director for DaVita Kidney Care. Previously he was an interventionalist – a physician who performs vascular access procedures – when he served as the medical director of a Lifeline-managed facility in Northern Virginia. "Dr. Mahoney's experience working across the vascular care continuum while managing multiple stakeholders made him a natural fit for this role," said Jonathan Lujan, general manager of Lifeline. "His inspired vision for the future of vascular care is what sets him apart, and our team is honored to welcome him to Lifeline." As CMO, Dr. Mahoney plans to be a liaison among interventionalists, physician practices, operations teams and patients. He is interested in further expanding Lifeline's vascular care services beyond dialysis access as the company continues to embrace care coordination in an evolving health care environment. "I am delighted that Dr. Mahoney will be a member of our physician leadership team," said Allen R. Nissenson, MD, FACP, CMO of DaVita Kidney Care. "His creativity, background and experience will be a welcome addition as we move into integrated kidney care to better serve our patients." Lifeline Vascular Access provides management services that streamline the delivery of patient care, bringing together all the pieces essential to the operation of an outpatient vascular center. With 70 locations across the country, Lifeline centers have had more than 1 million patient encounters with a procedure success rate of 98 percent. To learn more about Lifeline Vascular Access, visit LifelineVascularAccess.com. DaVita Inc., a Fortune 500® company, is the parent company of DaVita Kidney Care and DaVita Medical Group. DaVita Kidney Care is a leading provider of kidney care in the United States, delivering dialysis services to patients with chronic kidney failure and end stage renal disease. As of March 31, 2017, DaVita Kidney Care operated or provided administrative services at 2,382 outpatient dialysis centers located in the United States serving approximately 189,400 patients. The company also operated 162 outpatient dialysis centers located in 11 countries outside the United States. DaVita Medical Group manages and operates medical groups and affiliated physician California, Colorado, Florida, Nevada, New Mexico, Pennsylvania and Washington in its pursuit to deliver excellent-quality health care in a dignified and compassionate manner. DaVita Medical Group's teammates, employed clinicians and affiliated clinicians provided care for approximately 1.7 million patients. For more information, please visit DaVita.com/About.